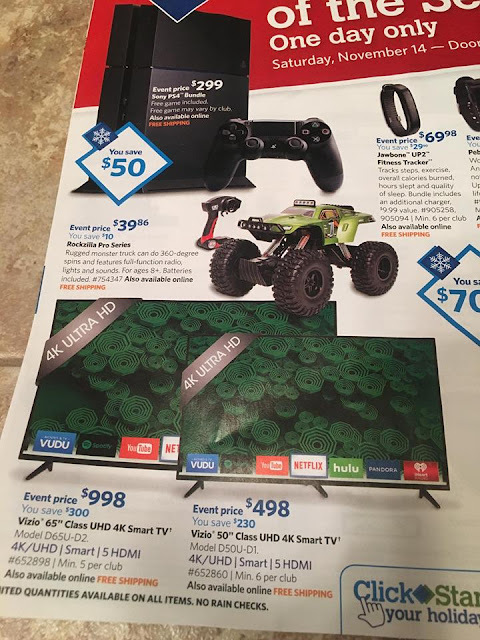 Sam's Club Pre-Black Friday Ad for November 14th! An employee from Sam's club posted on CheapAssGamer and what he posted was too good not to share! Well today I bring you the entire ad for November 14th! On Saturday, November 14th, Sam's Club will be offering a Sony PlayStation 4 Bundle with a free game and free shipping for $299.00! The leaked image also states that the bundle will be available online. This will be available for one day only, with doors opening at 7AM. View the Sam's Club Pre-Black Friday Ad Here!